St. Martin's Paperbacks, 9781250197351, 368pp. Diane Kelly is a former state assistant attorney general and tax advisor who spent much of her career fighting, or inadvertently working for, white-collar criminals. She is also a proud graduate of the Mansfield, Texas Citizens Police Academy. The first book in Diane’s IRS Special Agent Tara Holloway series, Death, Taxes, and a French Manicure, received a Romance Writers of America Golden Heart Award. Book #2, Death, Taxes, and a Skinny No-Whip Latte, won a Reviewers Choice award. 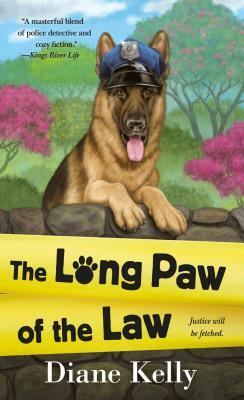 Diane has combined her fascination with law enforcement and her love of animals in her K-9 cop Paw Enforcement series.